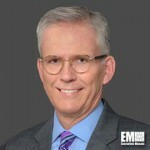 James Reagan, executive vice president and chief financial officer of Leidos, has said the company is more interested in buying products companies than services providers, Inside Defense reported Tuesday. “We don't need more of what we've got. … The things that we're looking for to build the company inorganically would be the kind of company with both a services and product differentiator,” he told analysts during the company’s earnings call Tuesday. “A pure products company could also be of interest to us, but I would say the ones we've been interested in to this point tend to have some sort of service element to them,” added Reagan, a 2019 Wash100 recipient. Leidos saw its fiscal 2018 revenue increase 0.2 percent to $10.2B and posted $749M in operating income, up from $559M in the previous year, according to the company’s fourth quarter and fiscal 2018 results. The Reston, Va.-based technology services contractor reported $13.7B in FY 2018 net bookings with a total backlog of $20.8B, of which $6.4B was funded. Cash flows from operations reached $768M in FY 2018, while diluted earnings per share was $3.80 for the year.